2 Bedroom Maisonette For Sale in Buxton for Asking Price £140,000. 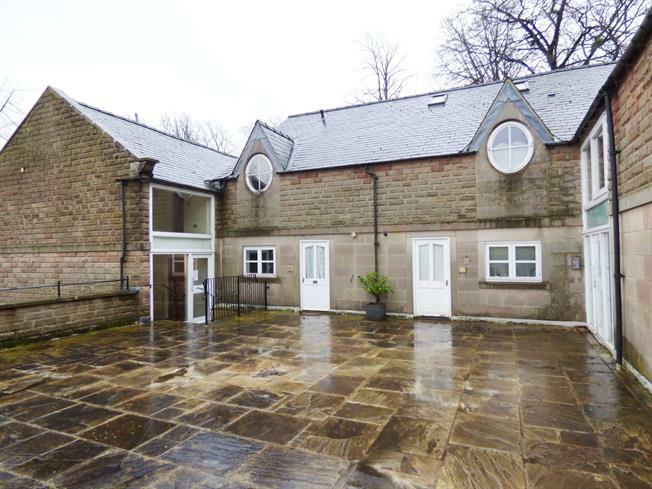 Set in the stunning grounds of Corbar Hill House this spacious maisonette is located in the newer Wye House and will appeal as both a main residence or a residential letting opportunity. A ground floor entrance hall opens to a cloaks/wc, a fitted kitchen diner and a spacious lounge opening onto a spacious decked seating area, whilst to the first floor there are two spacious bedrooms and a bathroom. Other features include secure parking, gas central heating and double glazing. Offered for sale with no chain viewing is highly recommended. Comprising a concealed cistern WC, a wall-mounted wash hand basin, tiled flooring, part tiled walls and an extractor fan. Double glazed windows and door overlooking and opening onto a private decked seating area, double radiators and wall lights. Double glazed double doors opening onto a small balcony, double glazed windows facing the rear and double radiators. Double glazed window facing the front and a double radiator. Comprising a jacuzzi bath with mixer tap and shower over, a wall-mounted wash hand basin and a concealed cistern WC. A heated towel rail, tiled flooring and part tiled walls.